Raymond (Water Table), 2018, Acrylic on canvas, 96 x 144 inches, diptych. 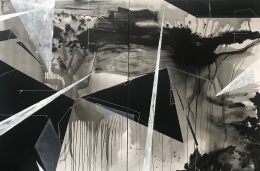 In The Ways of Belonging, I Measure Darker, (Environmental Liberation), 2018, Acrylic on canvas, 96 x 72 inches. South (Water Table Ocular #2), 2017, Polymer gravure on Hahnemühle Copperlate White paper, 39.5 x 29 inches, Edition of 10. Looking for the People (Water Table Ocular #3), 2017, Polymer gravure on Hahnemühle Copperplate White paper, 39.5 x 29 inches, Edition of 10. I'm Walking Outside Myself (Water Table Ocular #1), 2017, Polymer gravure on Hahnemühle Copperplate White Paper, 39.5 x 29 inches, Edition of 10. 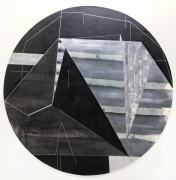 Distances Distances (#6 Gulf of Mexico-Extraction-Black), 2018, Acrylic on canvas, 60-inch diameter. If This Exists, That Exists (Ecology #3), 2018, Acrylic on canvas, 48 x 50 inches. If This Exists, That Exists (Ecology #4), 2018, Acrylic on canvas, 48 x 50 inches. Down-down, 2018, Acrylic on canvas, 96 x 72 inches. 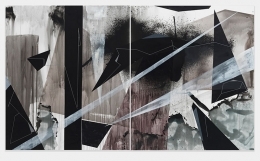 Joni Lee Blackman, 2018, Acrylic on canvas, 84 x 72 inches, each, 84 x 144 inches, diptych. Torkwase Dyson (born Chicago) received a BFA from Virginia Commonwealth University in 1999 and MFA from Yale School of Art in painting/printmaking in 2003. 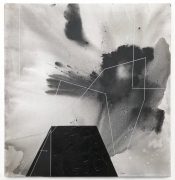 Working in multiple mediums, Torkwase Dyson describes herself as a painter whose forms address the continuity of ecology, infrastructure, and architecture. She merges ideas such as site and built environments, nature and culture under the rubric of environmentalism. 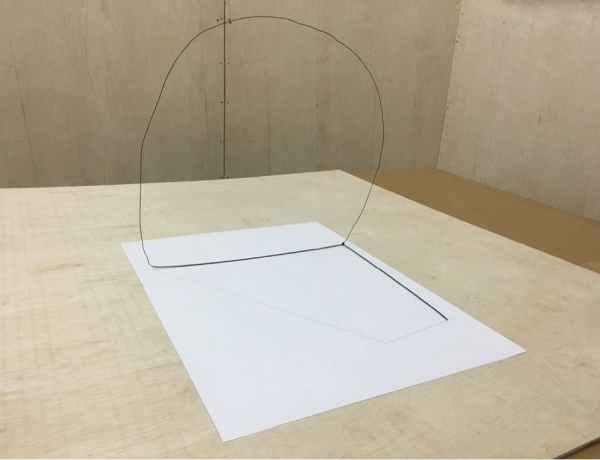 Fascinated with transformations, ambiguities and environmental changes that place these subjects in relationship to each other, her work revolves around investigating our connections to imagination, materiality, geography and belonging. 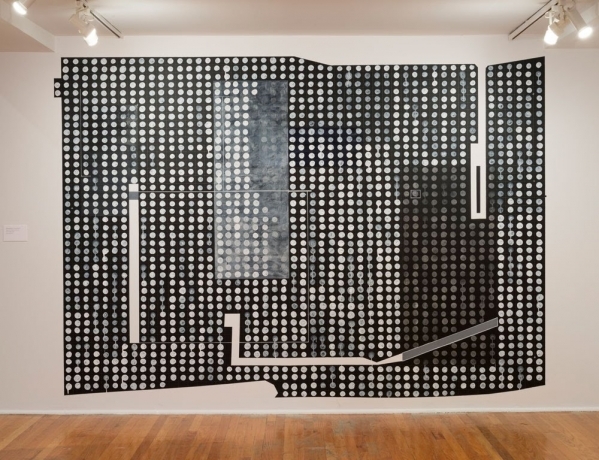 Ms. Dyson's solo exhibitions and installations include Graham Foundation for Advanced Studies in the Fine Arts, Chicago; Bennington College VAPA Usdan Gallery, Vermont; Colby College Museum of Art, Franconia Sculpture Park, Maine; Schuylkill Center for Environmental Education, Philadelphia; Rhona Hoffman Gallery, Chicago, and Davidson Contemporary, New York. 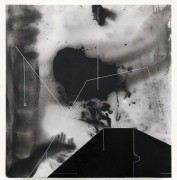 Group exhibitions include The Smithsonian National Museum of African Art, Washington DC, the recent Between the Waters at the Whitney Museum of American Art, New York, and the upcoming exhibition Plumb Line: Charles White and the Contemporary, California African American Museum. 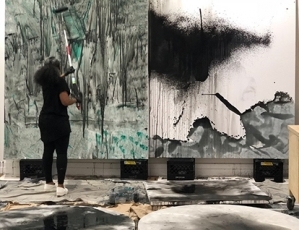 Torkwase will be included in the 2019 Sharjah Biennial and has a solo exhibition at Cooper Union, New York. Torkwase has been awarded the The Joan Mitchell Painters and Sculptors Grant, Nancy Graves Grant for Visual Artists, The Lunder Institute of American Art Fellowship, Spelman College Art Fellowship, Brooklyn Arts Council grant, Yale University Barry Cohen Scholarship, the Yale University Paul Harper Residency at Vermont Studio Center, Culture Push Fellowship for Utopian Practices, FSP/Jerome Fellowship and Yaddo. Torkwase Dyson’s work has also been supported by the Eyebeam Art and Technology Center, The Laundromat Project, the Green Festival of New York, Obsidian Arts and Public funds of the City of Minneapolis, Mural Arts Program of Philadelphia, The Kitchen, and Dorchester Projects in Chicago. Torkwase Dyson lives and works in Newburgh, New York and is a critic at the Yale School of Art. 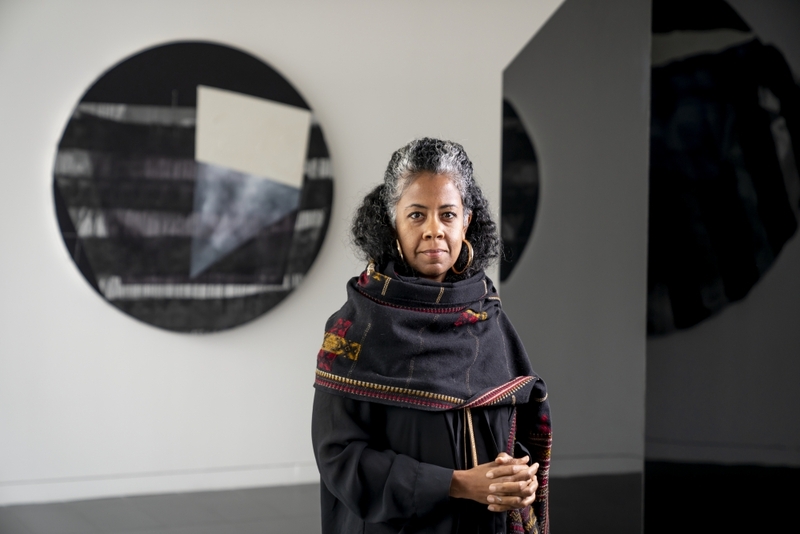 Torkwase Dyson named the Spring 2019 Robert Gwathmey Chair at The Cooper Union. Solo exhibition of works by artist Torkwase Dyson opens October 4th at Colby Museum of Art, Maine. The Graham Foundation for Advanced Studies in the Fine Arts reveals the five creative professionals inaugurating its fellowship program. 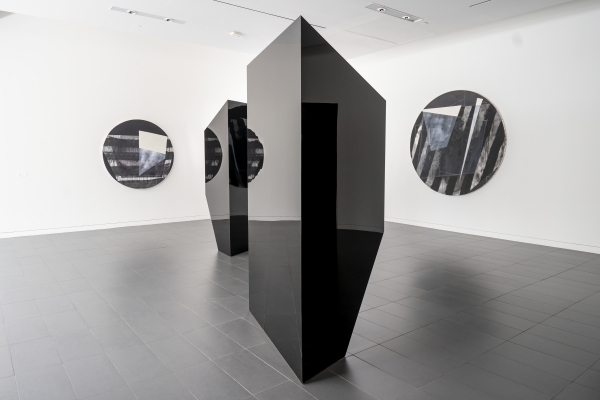 Torkwase Dyson writes about ways to center black subjectivity through artistic abstraction.